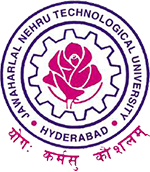 JNTU Hyderabad has announced B.Tech (CCC) 1st, 2nd, 3rd and 4th Years Supplementary Examinations Results August 2018. Sir naku kocham 1-2,2-1,3-1,3-2,4-1,4-2.supply unaiee sir kocham help chieyandi sir please. Sir kocham R10 supply exam dates appudu kocham chapadi sir.please sir.